A new paper involving Environment Institute member Ivan Nagelkerken, as well as Monique Grol (from the Radboud University Nijmegen, the Netherlands) and Peter Mumby (from the University of Queensland) has recently been published in the journal PLoS ONE. 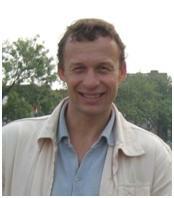 Dr Ivan Nagelkerken, lead author on the paper. The paper, titled ‘Effects of Marine Reserves versus Nursery Habitat Availability on Structure of Reef Fish Communities’, tested the individual as well as interactive effects of protection from fishing in marine reserves and of presence of mangrove nursery habitats on the composition and biomass of reef fish communities. The study shows that reefs in fished areas close to mangrove nurseries had a 2.5-fold higher standing stock of subadult fish than protected reefs that were spatially isolated from nurseries. These results have a large management implication as they show that protection of various economically and ecologically important reef fish species relies on incorporating and sustaining cross-ecosystem connectivity in the design of marine protected areas. Read and download the paper to find out more and read about the findings. This entry was posted in MBP, News, Publications and tagged fishing, Ivan Nagelkerken, marine, Monique Grol, New paper, Peter Mumby, PLos One, publication. Bookmark the permalink.